As I was prepping our 6 tips to kickstart your season blog a few weeks back I asked our customer success heroes Ann and Katie for a list of the best new (or old) MotorsportReg features that organizers weren't using but should. Since they see tons of events from tons of different kinds of organizations, it didn't take long to come up with the list. So here it is- the features you should be using to take your event registration form to the next level. This feature can make your registration forms really stand out. 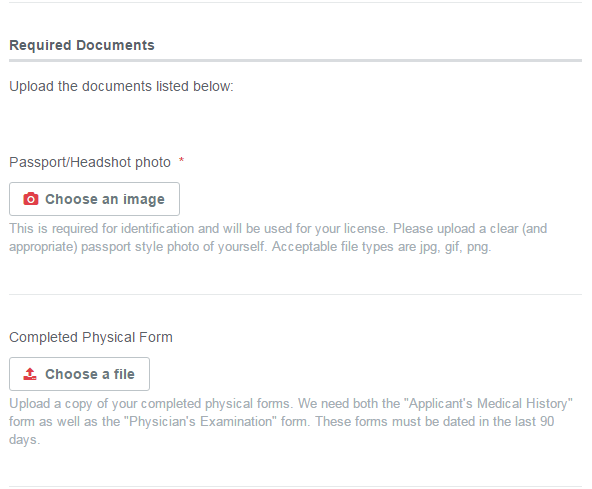 It's used for display purposes and you can add them directly to the form layout to insert text, links or images. 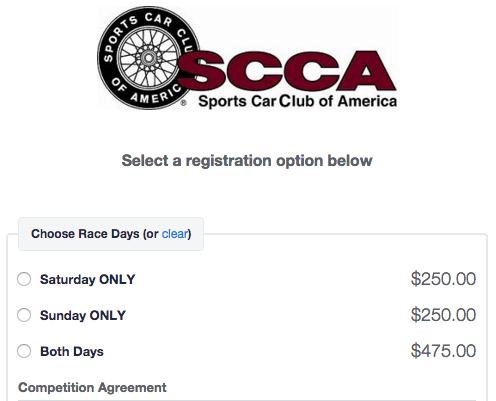 Texas Region SCCA used text blocks to include their logo and make their registration form look more professional. If you want to collect more specific information about your attendee's vehicle, this is the feature for you. We already collect a wide range of (mostly optional) vehicle details but karting groups want chassis manufacturer, vintage racers want former FIA logbook number, autocross groups want to log modification points for indexed classes and concours and club racing groups want to track club-assigned classes. 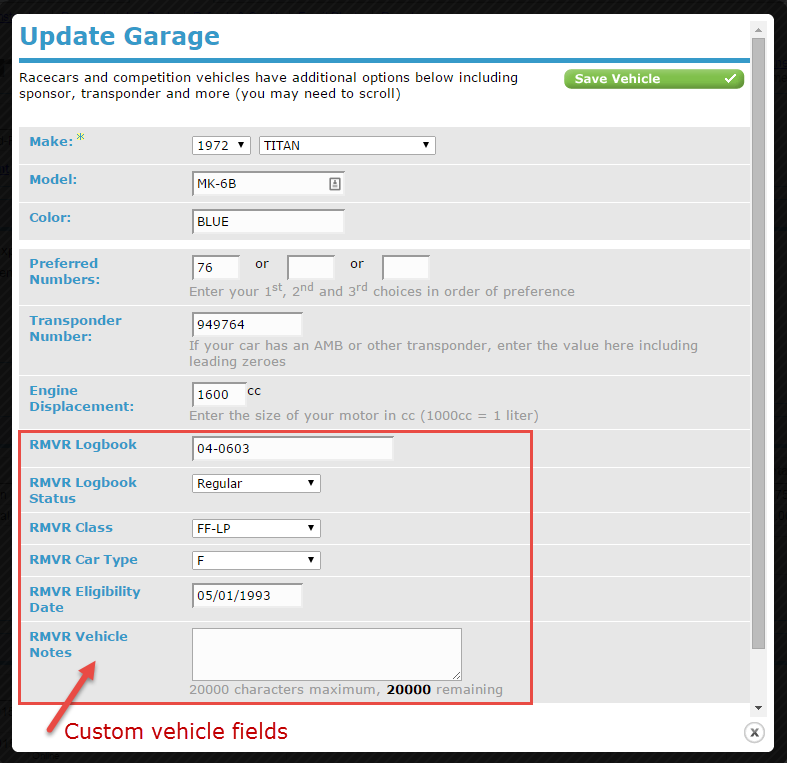 Custom vehicle questions allow you to collect all the vehicle-specific detail you want. Let's say you're offering a credit or discount to your attendees, but you don't want them to be able to apply it to certain packages on your registration form. For instance you don't want them to apply it to the workers fund, or a late fee or a t-shirt. 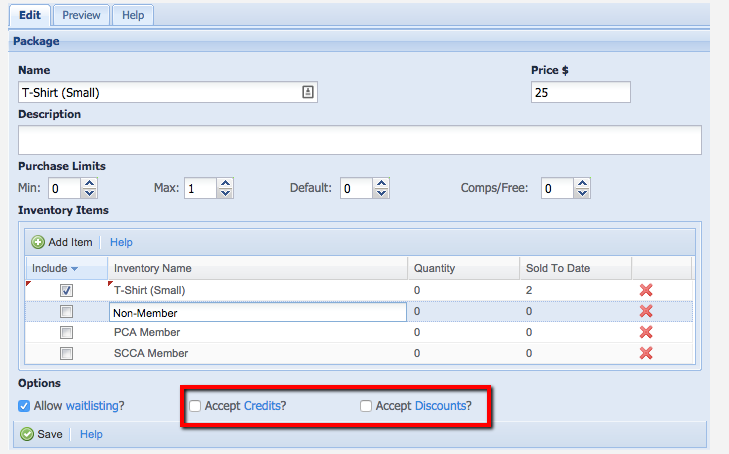 This is where the credit/ discount package limits feature comes in. Just check/ uncheck the boxes in the package settings and the system won't allow that package to be credited or discounted. Our file upload functionality is used in a variety of ways. It allows attendees to upload photos of themselves and their vehicles. And it allows organizers to upload documents to their emails and parts of their registration form (think text and waiver or attendee list). But it also allows you to collect forms from your attendees and store them in your MotorsportReg database fore easy access. 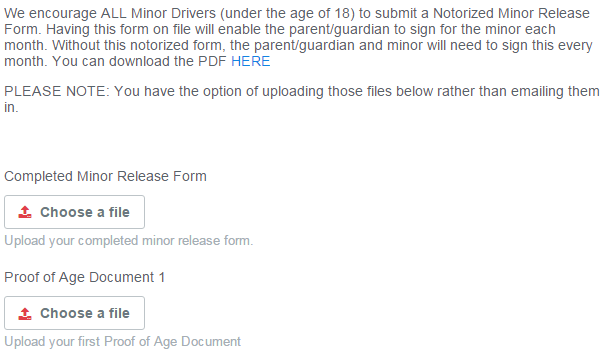 This club is using MotorsportReg for licensing and membership and is asking their attendees to upload a very specific type of photo and a complete physical form directly on their registration form. And this karting club is collecting minor driver release forms and proof of age documents for their membership and licensing event. So, which of these features will you be putting to use this year? Need help on how to include them in your forms? Contact our awesome support team.